8 July 2016. American Heart Association is offering grants for new computational tools to advance precision medicine in heart disease, with Amazon Web Services providing cloud computing resources. The 14 new grants are part of the organization’s $30 million Institute for Precision Cardiovascular Medicine, begun in 2014. The Institute for Precision Cardiovascular Medicine aims to enhance the science and practice of individualized care for cardiac disorders and stroke, with a better understanding of genomics, interacting with the environment and lifestyle. 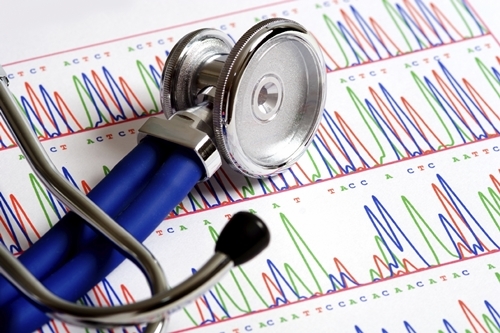 The institute already started a Cardiovascular Genome-Phenome Study that in June 2016 awarded $4 million to accelerate discovery of personalized treatments for heart disease through explorations of large data sets. such as the Framingham and Jackson heart studies. – Innovative development grants, for new computational tools to analyze large data sets. Examples are algorithms for defining new information collected through imaging, voice recognition tools, and algorithms to analyze data from wearable devices. The 2-year, $100,000 grants will be supplemented with Amazon Web Services credits of up to $150,000 per year. – Data mining grants, for establishing standards for integration and interoperability with electronic health care records. The 2-year, $200,000 grants will be supplemented with Amazon Web Services credits of up to $15,000 per year. – Data mining pilot grants, for proof-of-concept demonstrations of data mining to identify associations, biomarkers, and risk factors in cardiovascular health. The 1-year awards of $50,000 will also offer Amazon Web Services credits of up to $75,000. – Methods validation grants, for validating existing algorithms and analytic tools to predict clinical outcomes. The 2-year $200,000 grants will be supplemented with up to $150,000 per year in Amazon Web Services credits. American Heart Association is offering as well 2-year $150,000 Data Fellowship Awards for cross-training scientists in computational biology. Fellowship awardees will also receive Amazon Web Services credits of up to $50,000 per year. In addition, grant recipients can compete for prizes of $5,000 to $10,000 for developing particularly innovative solutions. The deadline for innovative development and data mining grant proposals is 31 January 2017, while methods validation and fellowship proposals are due by 1 June 2017.